No, it’s not every day that you’re born into a multi-billion dollar family empire. However, we can’t choose our upbringings, and for Tamara Ecclestone, she was integrated into the billionaire lifestyle from birth. Now a pop culture icon and television star today, Ecclestone is happy to give viewers a peak into her life and what it’s like raising Sophia – something every mom around the world can relate to. 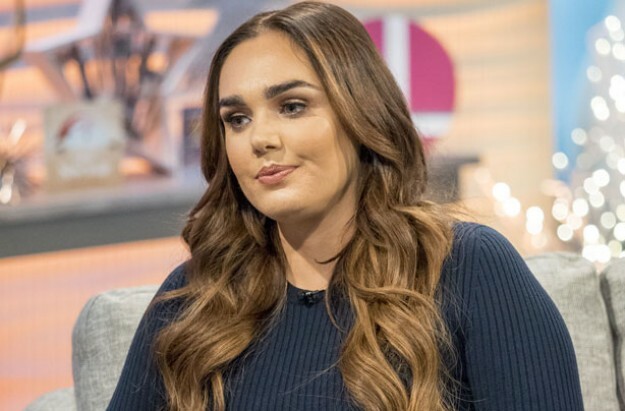 Called Tamara’s World, the show runs on ITVBe, showcasing the life of former F1 boss Bernie Ecclestone’s daughter, accompanied by her husband, Jay Rutland, and daughter Sophia, whom she lovingly refers to as Fifi. Her mansion, staffed by 50 people, brings the camera crew through the household team each episode, including a chef and a dog-walker, all managed by Ecclestone’s personal assistants: Megan and Dani. The debate has certainly unfolded on social media platforms, with women pitted against women, arguing about Ecclestone’s lifestyle and if it’s right or not right for her daughter. It leaves many wondering what happened to the female empowerment movement that’s been sweeping the world lately? Fans quickly descended on social media, lashing out at Kelly for being so obnoxious and rude to Ecclestone. Simply stating at the beginning of the interview that, “In the beginning, Fifi really struggled and I was still heartbroken. But now she’s into it and really bonded with her teachers and her friends. I’ve actually found it much easier to let go,” viewers felt that Kelly’s attacks her unwarranted and distasteful all around. It sparked the discussion of the classic feminist debate that we see so commonly in the media today. Instead of praising one another and appearing strong, locked in unity for the world to see, women, like Kelly, feel the need to use their public platform to bring down another successful women. It’s a venomous act of defiance that is all-too-common, particularly when it’s woman versus woman. Ecclestone has had to deal with her fair share of criticism today, most of it coming from other women. As a rich, beautiful, and faithful mother, the inferiority complex sets in with other women, who decide to tear her down in their comments and posts. It undermines the female empowerment movement at every corner. 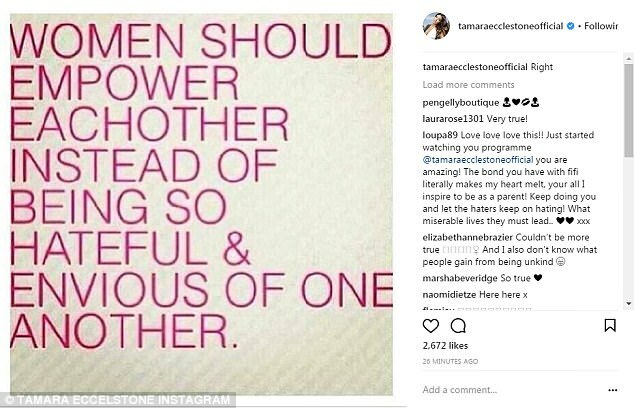 There’s something everyone could learn from reading Ecclestone’s post that encouraged more women to empower one another instead of being publicly hateful. If more women took a step to bring other women up, especially on public platforms, more women would be kinder to one another, and more men would respect the feminist movement because it would actually be working. In order to see real, tangible change in this world for women, it needs to start with women themselves. Kelly’s act of jealously perpetuated the “catty” female stereotype, and forced an empowered woman to defend herself on social media. There’s something everyone can learn from Ecclestone’s social media quote. Female empowerment starts with feminine support today.